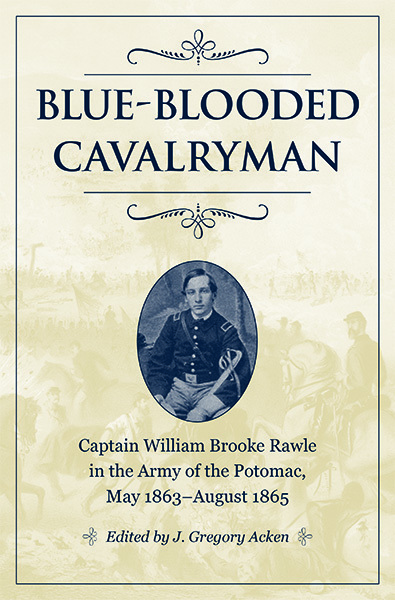 Brooke Rawle and the Third Pennsylvania Cavalry would serve with the Cavalry Corps of the Army of the Potomac through April 1864, fighting partisans and guerillas in Northern Virginia and also seeing action during the Bristoe Station and Mine Run battles of late 1863. A meticulous diarist and letter writer, Brooke Rawle documented nearly everything that came under his observant eye in 150 well-written letters home to his family. These letters, supplemented by his diary entries, provide a fascinating, richly detailed look into the life of a regimental cavalry officer during the last two years of the Civil War in the East. EditorJ. Gregory Acken served for twelve years on the board of governors of the Civil War Library and Museum of Philadelphia. He is the editor of Inside the Army of the Potomac: The Civil War Experience of Francis Adams Donaldson, which was an alternate selection of the History Book Club, and Service with the Signal Corps: The Civil War Memoir of Louis R. Fortescue.